The film was released online on June 18, 2007, on zeitgeistmovie.com. While the film has been praised by some for the professional-level quality of its pacing and editing, and for its compelling narrative, it has been criticized for factual inaccuracies and the quality of its arguments, with critics describing it as “agitprop” and “propaganda”. A sequel, Zeitgeist: Addendum, focuses further on the monetary system and advocates a resource-based social system influenced by the ideas of Jacque Fresco and the Venus Project. Following Zeitgeist: Addendum, Peter Joseph created an organization called the Zeitgeist Movement to promote the ideas of Fresco’s Venus Project. 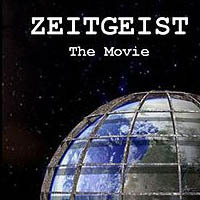 An updated version of the original film was produced in 2010 entitled Zeitgeist: Final Edition. A third film called Zeitgeist: Moving Forward was released theatrically on January 15, 2011, and online on January 25, 2011. Peter Joseph has stated that its topics are focused on human behavior, technology, and rationality. The film has a 220-page long “companion source guide”, available on the film’s website, in which sourcing for the movie’s content is detailed.